Record to report or R2R is the management process for providing strategic, financial and operational feedback to understand how a business is performing. This process involves collecting, transforming and delivering relevant, timely and accurate information to all stakeholders inside and outside the organization, to provide insight into how their expectations have been met. (Payable, Receivable, Fixed Assets etc.). 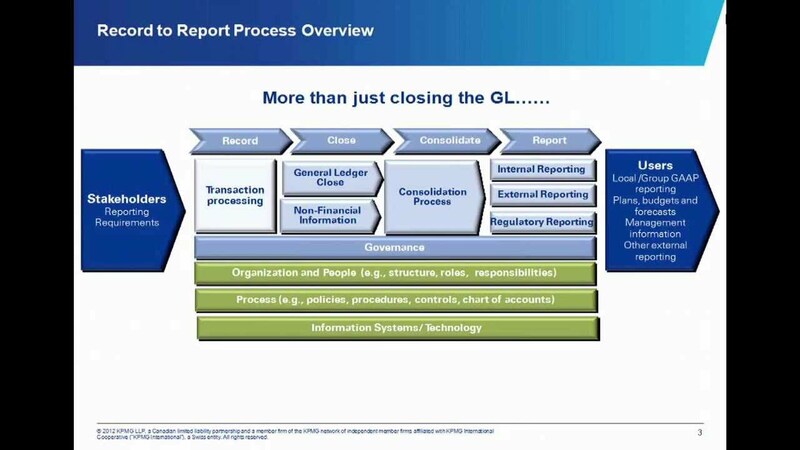 Then run all the month end GL reports like Trial Balance, Account Analysis etc. Record to Report process might seem simple but it require considerable efforts. It is the only process scrutinized by outside auditors who draw conclusions about controls in place during financial close and reporting cycle.